The first sound bar with DTS Virtual:X 3D audio technology is worth the hype. Yamaha’s soundbars have wowed us, with many receiving our top recommendations in different categories. Yamaha’s latest entry, the YAS-207, marks a major step forward. It is the first soundbar to add DTS Virtual:X technology. DTS Virtual:X is such a significant and impressive feature that owners of previous-generation, entry-level Yamaha soundbars will want to upgrade to it. 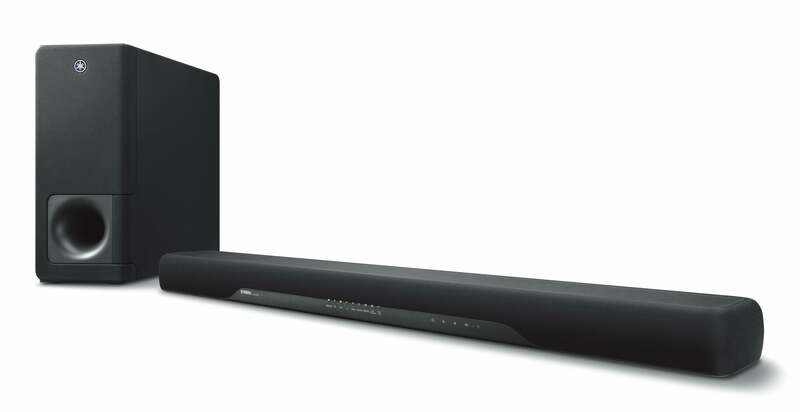 Yamaha’s YAS-207 is a slimline soundbar and wireless subwoofer package. While the YAS-207’s rectangular design won’t win any awards, it will certainly appeal to customers who want a soundbar with a small footprint and a wall-mount option. Yamaha includes a template so you know exactly where to drill the holes. No special hardware is required to wall mount the YAS-207, though you will need to provide the appropriate screws. You can also put the YAS-207 on top of or inside a cabinet. There are no on-board EQ options to compensate for those different placements. 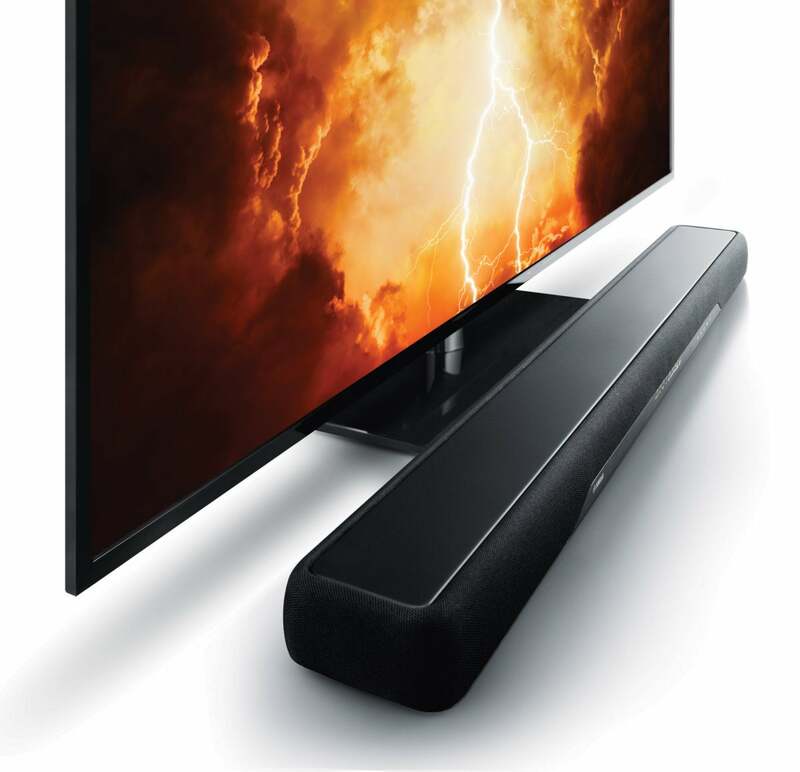 Yamaha YAS-207 soundbar with its wireless subwoofer. The included wireless subwoofer eschews the square box design of most subs. Instead, Yamaha’s wireless sub is vertically tall and thin. The front-ported sub looks more like a tower computer, making it perfect to fit near a couch or tight spaces. The subwoofer's volume can be controlled independently of the main soundbar, so you can tweak it to your taste. There's an optional bass boost feature on the remote that further enhances the low end. I don't like the bloated effect that results from by those gimmicky features, though I know some consumers like them. It's there if you need it. When I unpacked the soundbar and wireless sub, the two came pre-paired and ready to go. I deliberately unpaired the wireless sub to see how difficult it would be should a user have pairing problems. Re-pairing the sub was easy. I would simply caution that you need to be attentive to the specific procedure listed in the manual or the pairing won't work. 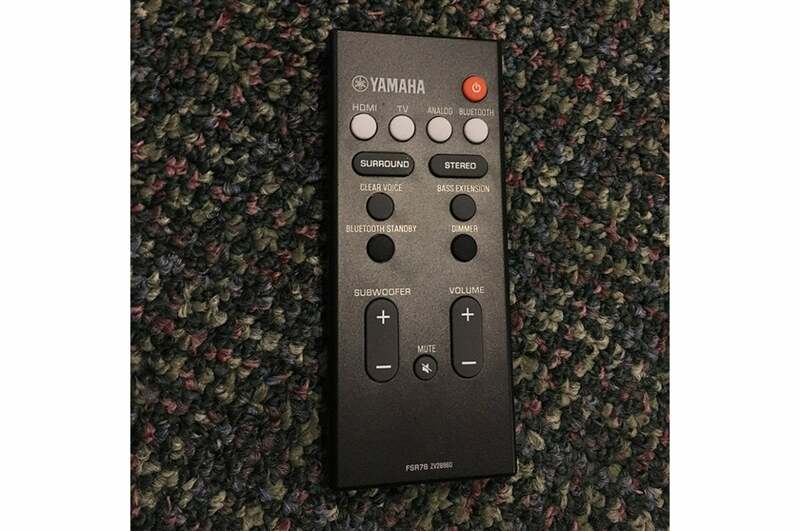 The Yamaha’s remote control is far better than most at this price point. Buttons are logically laid out with reasonably large type. The remote isn’t backlit, but the buttons have different shapes and colors so you can easily make them out in either dim lighting conditions or without looking. Yamaha is among the few soundbars at this price point to come with a complementary mobile app that takes care of all your control needs. All I had to do was connect the YAS-207 via Bluetooth, download the Yamaha Home Theater app on my iOS device, and I was in business. The remote is clearly organized and you can easily find buttons in dimly lit rooms or even without looking. The YAS-207 provides you with HDMI, Toslink optical, Bluetooth, and analog inputs. It is very unusual that you get both an HDMI input and HDMI output at this price. The HDMI output supports HDMI's audio return channel (ARC), so a single HDMI cable can be used to send AV signals to the TV as well as receive audio back from the TV over the same cable. HDMI ARC is a neat feature, though you’ll need to make sure that your TV’s CEC option is enabled for ARC to work. Most TVs come with the HDMI CEC turned off by default. The supported HDMI version isn't explicitly stated, but it is most likely HDMI 2.0a since Yamaha states the YAS-207 supports 4K UHD signals with HDR (high dynamic range). Supporting video signals is typically irrelevant, since most people use a soundbar for processing only audio. Nevertheless, there are situations where it's handy and practical to have an HDMI input on the soundbar. 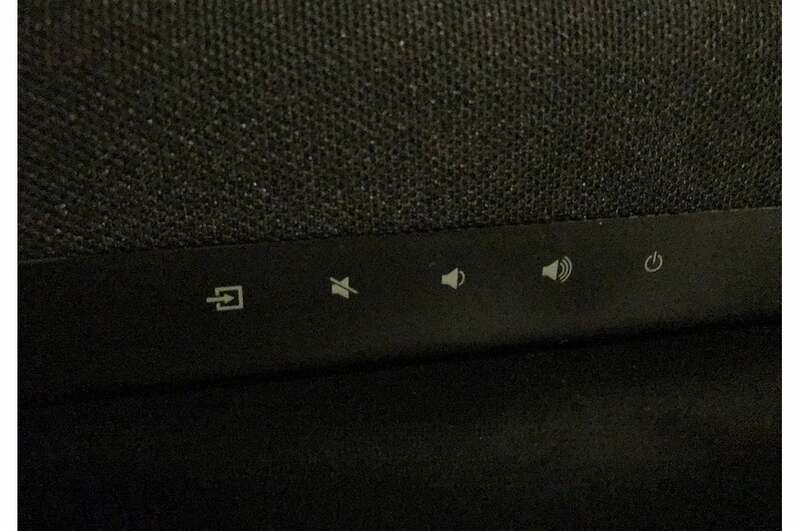 Touch controls along the soundbar's top provide access to its basic functions. Should you connect a 4K UHD source to the Yamaha, keep in mind that it will probably pass only HDR10 (today’s dominant HDR standard) and none of the alternative or forthcoming HDR standards such as HDR10+, Dolby Vision, or HLG HDR. HLG HDR will be used for future TV broadcasts once the ATSC 3.0 broadcast standard is pushed out to consumers. The YAS-207 is a good-sounding entry-level soundbar that's going to be far better than the terrible audio coming from your TV speakers. The Yamaha delivers intelligible dialog and enhances movies and TV programming. The midrange sounds like it is voiced specifically to emphasize dialog. It’s highly effective, but for my taste it sounds a bit thin. Comparatively speaking, the Yamaha couldn't deliver the same sonic satisfaction I got from the slightly more expensive Q Acoustics M3 that I recently reviewed. If you're considering the YAS-207, you likely aren't going to put it into plain old stereo mode. Let me explain why. The big selling point of the YAS-207 is DTS Virtual:X. Yamaha’s YAS-207 is the first soundbar available to deliver this technological enhancement. DTS Virtual:X is a technology by DTS (yes the same DTS that has its logo see plastered all over Blu-ray discs) that analyzes an incoming audio signal and uses the Yamaha’s speakers to simulate a 3D sound stage—including creating virtual speakers where none exist. Right now, only a handful of products have DTS Virtual:X. That will change in the new year as more companies announce support. In order to take advantage of DTS Virtual:X, my YAS-207 review sample needed to be updated to the latest firmware. You can download the latest firmware for the YAS-207 from Yamaha's website. 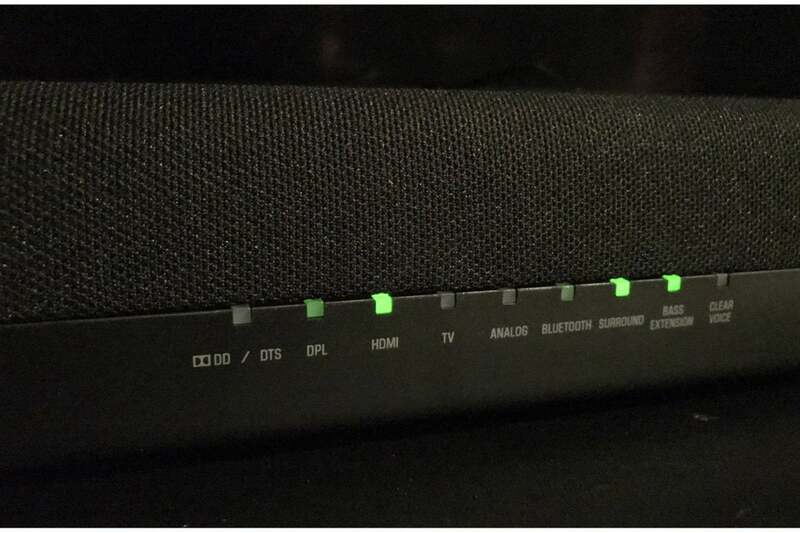 Depending on when your YAS-207 soundbar was manufactured, it may or may not come with the latest firmware. Performing the update was straightforward. I downloaded the firmware to a USB stick, followed the online instructions to install the firmware, and in about a minute flat I was ready to go. After the DTS Virtual:X update, depressing the “surround” button gave me two surround modes. The first mode is a simulated, traditional, 2D surround sound. When you engage the traditional surround, you’ll see a green light on the front of the soundbar. Pressing the surround button a second time turned the light surround light blue and activated DTS Virtual: X. My review unit required a firmware update to activate DTS Virutal:X functionality. You don’t need programming mastered with DTS:X (the company's 3D audio technology) for Virtual:X to work its magic. That's the really cool thing about the technology. It will work on pretty much any audio source you feed it. Nevertheless, I couldn’t think of a better test of DTS Virtual:X than the remastered Harry Potter movies. 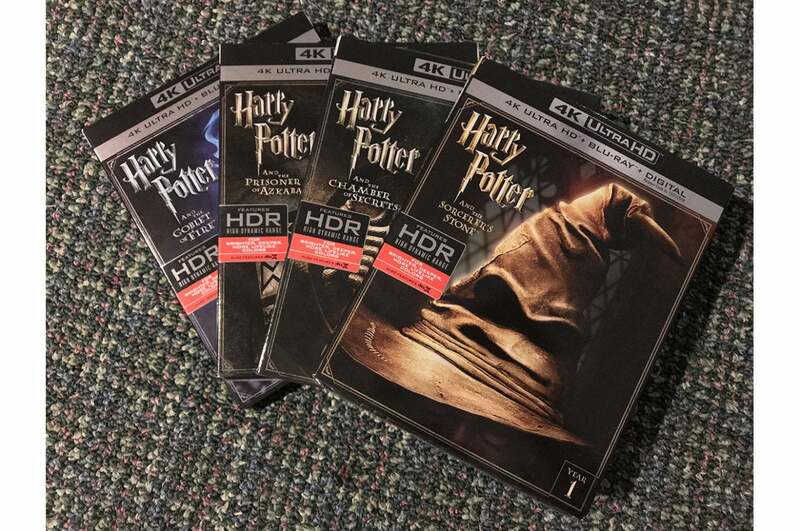 Warner Brothers sent me copies of the first four Harry Potter movies, which have now been re-released in both 4K UHD Blu-ray and Blu-ray with a remastered DTS:X immersive audio track. If you're a fan of the Harry Potter franchise who hasn't seen and heard the remastered movies, you should. I’ve never been a fan of simulated 2D surround from soundbars. My opinion hasn't changed after sampling the YAS-207. Its simulated surround sound feature is simply OK. DTS Virtual:X, however, is a totally different ball game. I tested DTS Virtual:X with the newly remastered Harry Potter Ultra HD Blu-ray discs with DTS:X 3D-audio. The movie theater-like sensation DTS Virtual:X delivers is nothing short of astounding. It’s the best simulated surround sound technology I’ve heard in a soundbar. When you first engage DTS Virtual:X, you should note that there’s a bit of trickery. The volume gets louder. Our human hearing will perceive louder volumes as better. But there's no trickery involved when it comes to what Virtual:X can do. The audio sound stage expanded significantly in height, width, and depth. Dynamics came to life. If you want to get an immersive audio sensation, but can’t afford the space or cost associated with DTS:X or Dolby Atmos, then DTS Virtual:X is an amazing alternative. It made a believer out of this skeptic. Now, so that you don’t misunderstand, I tested the Yamaha YAS-207 in my DTS:X 7.1.4 theater space. While the YAS-207 did yeoman’s work, it still wasn’t close to delivering the superb refinement that a dedicated immersive audio setup can deliver. It also didn’t come close to rendering the discrete height effects you get from dedicated in-ceiling speakers. For example, in the 14th Chapter of the Goblet of Fire, when Harry first encounters the dragon, in a proper DTS:X immersive audio setup, you’ll hear the dragon wisp above you and when he breathes fire at Harry, you’re sonically surrounded by the fire as it disappears behind and above you. I didn’t get anywhere near that effect from the Yamaha, though I did get a significantly increased height sensation, which I didn’t get from the Yamaha in plain old stereo mode. DTS Virtual:X simulates an immersive audio setup from 2.1, 5.1, or 7.1 setups. One of the most surprising features of DTS Virtual:X is how it enhanced on-screen dialog. As good of a value as the Yamaha YAS-207 is, it still has a boxy sound and thin tonal quality to it. Turning on DTS Virtual:X greatly reduced those sonic shortcomings. Even with Virtual:X, however, the overall sound of the YAS-207 still has a thin quality to it. As good as DTS Virtual:X is, that doesn’t mean it isn’t without its occasional pitfalls. I found that enabling DTS Virtual:X brought about a certain harshness to the audio—including some smearing. DTS Virtual:X sometimes tended to make listening sessions fatiguing, constantly elevating the sounds of background audio objects. In some instances, dialog actually became fuzzier. Lights show you the soundbar's settings. The indicator lights can be turned off if you find them distracting. While watching the 10th chapter of Harry Potter and the Goblet of Fire, for example, witch journalist Rita Skeeter takes Harry Potter into a broom closet for an interview for the Triwizard Tournament, Rita’s voice had a hissy quality to it as though it was blending into background sounds that were elevated as part of Virtual:X's digital signal processing. I can’t say if those instances of audible artifacts and harshness are a byproduct of DTS Virtual:X, the way the YAS-207 renders the technology, or simply the fact that this budget-priced soundbar doesn’t have better drivers. Switching over to my dedicated 7.1.4 DTS:X immersive audio setup, all these harsh audio elements disappeared. I would suspect that there might be less harshness with higher-end soundbars utilizing DTS Virtual:X.
Yamaha’s soundbars have always been stellar performers in their respective price categories. That stays true here. Yamaha's YAS-207 with DTS Virtual:X is a winner. The inclusion of DTS Virtual:X differentiates the YAS-207 from among its peers. While Yamaha’s soundbar isn’t perfect, it delivers lots of punch and excitement to delight those who want a better movie experience at home. The YAS-207 will also serve as a good compromise for spouses who want audio equipment in the house to be heard and not seen. As the first soundbar in its class to offer DTS Virtual:X, Yamaha's YAS-207 rises above the competition. Slimline Wireless subwoofer provides placement flexibility. Won't support all HDR video standards.